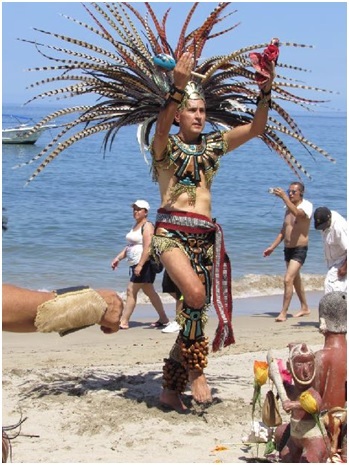 Suzy Chaffee writes: “I had the honor of dancing with a group of Azteca-Huicohole, led by Mexica (shaman) Itzcax, with his wife Mayahuel, Zitlaltezcatl, Zitlalpopoca (Alex), Mwieri (Manuel), Zitlai (took video) and Tlawitzin with the fire. 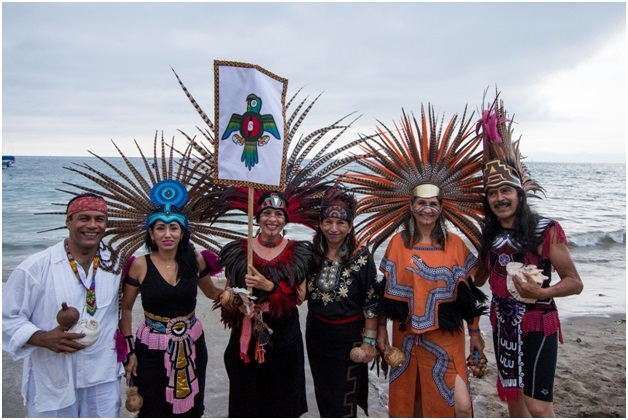 “I invited everyone to our Azteca-Huichole-Cherokee ceremony with the magnificent Atzin Yolotil Danza group in Puerto Vallarta on the 25th, at the Cuates y Cuetes Restaurant and the beach next to Los Muertos Pier, with the help of an article in the local paper. We were inspired by solidarity with the “Stop California Fires” ceremonies on holy mountains, which turned into a Huge Hug around Mother Earth. 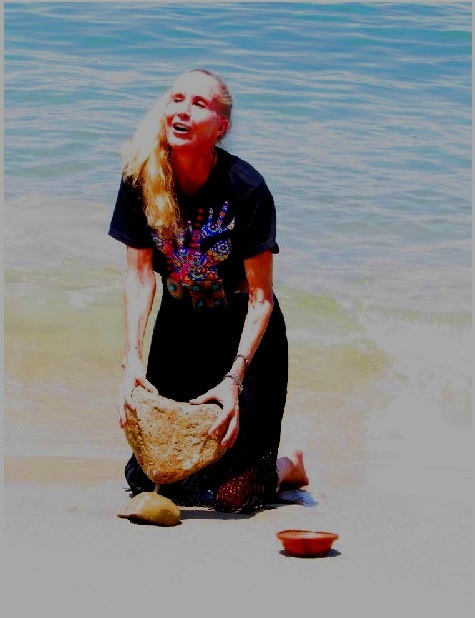 “At the end we all sang touching songs to Mother Earth, Mother Ocean and Neptune and then threw little birds of paradise flowers into the waves, befitting our global embrace is “restoring Eden,” as Olivia said. At Mountain or Ocean, Devotion.